The Phils win their first series of the second half of the season as they defeat the Cubs in a laughter, 12-1. The Phils defeat the Cubs in a laughter, winning 12-1. The Phils took the lead in the bottom of the second as, with runners on second and third, and with one man out, John Mayberry, Jr. hits an RBI infield single, scoring Darin Ruf, who had earlier singled, then stopped at third base on Cody Asche’s double, giving the Phils a 1-0 lead, while sending Asche, who had just doubled, up to third base. The Phils then made it a 2-0 lead one batter later as Michael Martinez hits an RBI single, scoring Asche, while sending Mayberry over to third base. The Phils then made it a 4-0 lead in the bottom of the third as, with one man on, and with one man out, Ruf hits a two-run home run, his fifth home run of the season, knocking in Chase Utley, who had earlier doubled. The Cubs got on the scoreboard in the top of the fourth as Nate Schierholtz hits a lead-off home run, his fifteenth home run of the year, making it a 4-1 Phils’ lead. The Phils then proceeded to bust the game open in their half of the fourth as, with runners on the corners and with one man out, Carlos Ruiz hits a RBI bunt single, knocking in Martinez, who had started the inning off with a single, had reached second base on Ethan Martin’s sacrifice bunt, 1-4, then reached third base as he beat Cubs’ pitcher Jeff Samardija’s throw to third on Kevin Frandsen’s fielder choice’s grounder to the pitcher, giving the Phils a 5-1 lead, while sending Frandsen, who was safe at first on the fielder’s choice, up to second base. The Phils then increased their lead as Utley hits an RBI double, knocking in Frandsen, giving the Phils a 6-1 lead, while sending Ruiz up to third base. The Phils then made it an 8-1 lead as Dom Brown hits a two-run single, scoring both Ruiz and Utley. The Phils then made it a 10-1 lead two batters later as, with a man on, and now with two men out, Asche hits a two-run home run, his first career home run, knocking in Brown. The Phils then made it a 12-1 lead in the bottom of the eighth as, with a man on first, and with nobody out, John McDonald hits a two-run home run, his first home run of the season, knocking in Ruiz, who had started the inning off with a single. That would end up being the final score as Raul Valdes pitched a 1-2-3 ninth. Ethan Martin (1-1, 6.75) got the win, the first of his major league career, as he pitched five strong innings, giving up a run on four hits and three walks, as he struck out four. Zack Minor, Cesar Jimenez and Raul Valdes combined for four scoreless innings, giving up just two hits (Jimenez) and a walk (Minor) between them, while striking out four (Minor (2), Jimenez (1), Valdes (1)). Jeff Samardija (6-11, 4.23) took the lost as he lasted only three and a third innings, giving up nine runs on eleven hits, while striking out three. Eduardo Sanchez pitched two and a third innings, giving up a run on a hit and two walks, while striking out three. Hector Rondon pitched a scoreless inning, giving up a walk, while striking out a batter. Michael Bowden pitched an inning, giving up two runs on two hits. The Phils had fourteen hits in the game, with Cody Asche (2 RBIs) leading the ballclub with three hits, a single, a double and a two-run home run, the first of his career, followed by Carlos Ruiz (Singles, RBI), Chase Utley (Doubles, RBI), Darin Ruf (Single, Home Run, 2 RBIs), and Michael Martinez (Singles, RBI) with two hits each. Dom Brown (Single, 2 RBIs), John Mayberry, Jr. (Single, RBI) and John McDonald (Home Run, 2 RBIs) had the other three Phils’ hits. The Phils also had three walks (Utley, Ruf and pinch-hitter Erik Kratz) and one sacrifice bunt (Ethan Martin) in the game. The Phils (52-62, 4th) will start a three-game series with the Nationals (54-60, 2nd), starting with a night game tonight. The game will be played at Nationals Park and is to start at 7:05 pm EDT. The Phils will send to the mound John Lannan (3-4, 4.10), who is coming off a no-decision against the Braves on August 3, as he pitched four and a third innings, giving up four runs, only two of which were earned, in the Phils’ 5-4 extra-innings lost. He will be trying to give his old team fits. The Nats will counter with Dan Haren (6-11, 5.14) who is coming off a win against the Brewers on August 3, as he went seven innings, giving up four scattered hits and two walks, while striking out six, in the Nats’ 3-0 win. He will be trying to pitch well against the Phils. The Phils will be trying to start their present series on a good note. Kyle Kendrick throws his first career complete game shutout as the Phils defeat the Cards, 4-0. Throwing only 94 pitches, Kyle Kendrick throws his first career complete game shutout, as the Phils take the four-game series from the Cards, defeating the world champs, 4-0. The Phils took the lead in the fourth as, with one man on, and with one man out, Shane Victorino hits an RBI double, scoring Hunter Pence, who had started the inning off with a single, giving the Phils a 1-0 lead. The Phils increased their lead in the sixth as, with the bases loaded, via a double by Placido Polanco, and walks by Pence and Victorino, with Polanco and Pence both moving up a base, and with one man out, John Mayberry, Jr. hits a two-run double, knocking in Polanco and Pence, giving the Phils a 3-0 lead, while sending Victorino up to third base. The Phils then took a 4-0 lead as Freddy Galvis hits an RBI ground out, 6-3, scoring Victorino. That would end up being all the runs that the Phils would need as Kyle Kendrick would pitch a complete game shutout, the first of his career, as he would give up only seven hits, all but one of them being a singles, ending the game by striking out David Freese, looking, for the game’s final out. Kyle Kendrick (1-4, 4.10) got the win as he threw a complete game strikeout, giving up seven scattered hits, while striking out four. Jaime Garcia (3-3, 3.78) took the lost as he pitched six innings, giving up four runs on six hits and two walks, while striking out six. Eduardo Sanchez and Chuckie Fick combined for three shutout innings, giving up a hit (Fick) and a walk (Sanchez) between them, while striking out two (Sanchez). The Phils had seven hits in the ballgame, with Hunter Pence (Singles) and Brian Schneider (Single, Double), both leading the team with two hits each. Placido Polanco (Double), Shane Victorino (Double, RBI) and John Mayberry, Jr. (Double, 2 RBIs) had the other three Phils’ hits. Freddy Galvis had the other Phil RBI via a ground out. The Phils also had three walks in the game. The Phils (25-23, 5th East) will conclude their series with the Cards (25-22, 2nd Central) with an afternoon game. The game will be played at Busch Stadium (III) and will start at 2:15 pm EDT (1:15 pm CDT). The Phils will send to the mound their ace Roy Halladay (4-4, 3.58), who is coming off a lost against the Nationals on May 22, as he went six innings, giving up five runs on nine hits and a walk, while striking out six, in the Phils’ 5-2 lost. He will be out to get back on the winning track, while trying to lead the Phils to a sweep of the world champs. The Cards will counter with Adam Wainwright (3-5, 4.78), who is coming off a complete game shutout over the Padres on May 22, as he gave up just four hits and a walk, while striking out nine. He will be trying to stop the Cards’ present losing streak. The Phils will be out to sweep the Cards, and put themselves three full games over .500. The Phils lose their third straight game as they lose to the Cards, 3-1. The Phils dropped their third straight game as the offense continues to act clueless, as the Phils lose to the Cards, 3-1. The Phils took the lead in the second as, with one man on, and with one man out, Ben Francisco hits an RBI single, knocking in John Mayberry, Jr., who had been safe at first on a force out, 5-4, wiping out at second base Ryan Howard, who had earlier walked, then stole second base, giving the Phils a 1-0 lead. The Cardinals then took the lead in the fourth as, with the bases loaded, via walks to Matt Holliday and Lance Berkman, sending Holliday to second base, and an infield single by Yadier Molina, moving both Holliday and Berkman up a base, and with one man out, Nick Punto hits a two-run single, knocking in both Holliday and Berkman, giving the Cards a 2-1 lead, while sending Molina up to second base. The Cards then added to their lead in the seventh as, with two men on, and with one man out, Jon Jay hits an RBI single, scoring Punto, who had earlier singled, then moved up to second base on pinch hitter Kyle Lohse’s sacrifice bunt, making it a 3-1 Cards’ lead, while sending Ryan Theriot, who had just walked, on to second base. That would end up as the final score as Fernando Salas converted his fourth save of the year with a 1-2-3 ninth. Cliff Lee (2-4, 3.84) took the lost as he went six and a third innings, giving up three runs on six hits and six walks, while striking out four, in what has to be one of the worst games that he has pitched in his career, based on the high number of walks, the most in his career, that he had given up. Michael Stutes pitched two-third of an inning, as he got the one man that he would face to hit into a doubleplay. J.C. Romero pitched a scoreless inning, giving up a hit. Jake Westbrook (3-3, 6.07) gets the win as he went seven inning, giving up a run on four hits and three walks, while striking out one. Eduardo Sanchez collected his fifth hold of the year as he pitched a scoreless inning, giving up a hit, while striking out one. Fernando Salas received his fourth save of the season as he pitched a 1-2-3 inning, striking out a batter. The Phils had just five hits in the game, with Jimmy Rollins leading the team with two hits, a single and a double. Ben Francisco (Single, RBI), Cliff Lee (Single) and pinch hitter Ross Gload (Single), had the other three Phils’ hits, as the offense has once more been its own worst enemy, getting themselves out against a weak pitcher. How much longer are these guys going to keep doing that until they really act like the American League team people keep claiming they are. Translation, start taking pitches and look for your pitch to hit, guys. Harumph!!! The Phils (25-15, 1st East) will conclude their short two-game series with the Cards (23-19, 2nd Central) with a night game tonight. The game will be played at Busch Stadium, and will start at 8:15 pm EDT (7:15 CDT). 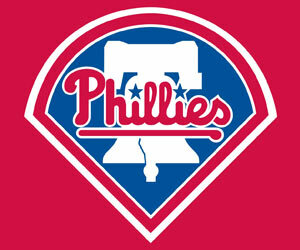 The Phils will send to the mound Roy Oswalt (3-1, 3.33), who is coming off a stay on the disabled list. In his last start, a lost against the Diamondbacks on April 26, he went only three innings, giving up five runs on six hits and a walk, in the Phils’ 7-5 lost. He will be trying to stop the Phils’ present three-game slide. The Cards will counter with Jaime Garcia (5-0, 1.89), who is coming off a win against the Cubs on May 12, as he pitched seven strong innings, giving up just a run on nine scattered hits and a walk, as he struck out four, in the Cards’ 9-1 rout. He will be shooting for his sixth win of the year. The Phils hope to avoid the sweep and come back to Philadelphia with a .500 road trip.